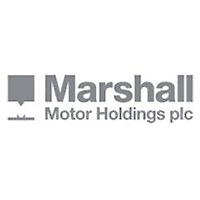 Marshall Motor Holdings (LON:MMH) is the topic of conversation when Head of Research at Zeus Capital joins DirectorsTalk. Mike explains how Marshall’s update has affected his forecast and how in terms of valuation and company outlook he sees Marshall going into 2019 and beyond. Marshall Motor Holdings Plc principal activities are the sale and repair of new and used vehicles. The Group’s businesses comprise a total of 101 franchises covering 23 brands, operating from 84 locations across 26 counties in England. In addition, the Group operates five trade parts specialists, three used car centres, five standalone body shops and one pre delivery inspection centre.